Home to the world’s fifth highest mountain, the Makalu region encompasses a swath of lush valleys that offers stunning panoramic views of Mt. Makalu itself as well as neighboring giants such as Everest and Lhotse. The Arun Valley is amongst the most beautiful in Nepal, featuring a multitude of waterfalls, an abundance of flora and fauna, and local people armed with the unwavering charm and generosity of spirit that is the hallmark of village life throughout Nepal. Well off the beaten track for most trekkers due to its remote setting, Makalu generally attracts a small number of visitors to its valleys each year – a shame for those unaware of its numerous charms and magnificent scenery, but a boon to those fortune enough to make the sojourn to the region. Against the backdrop of looming peaks, glaciers and cascading waters, the classic trek through Makalu Barun National Park to the base camp is amongst the most rewarding experiences available on the trekking calendar, enhanced even further by the cultural perspectives and insights into the local people and their hardy existence. 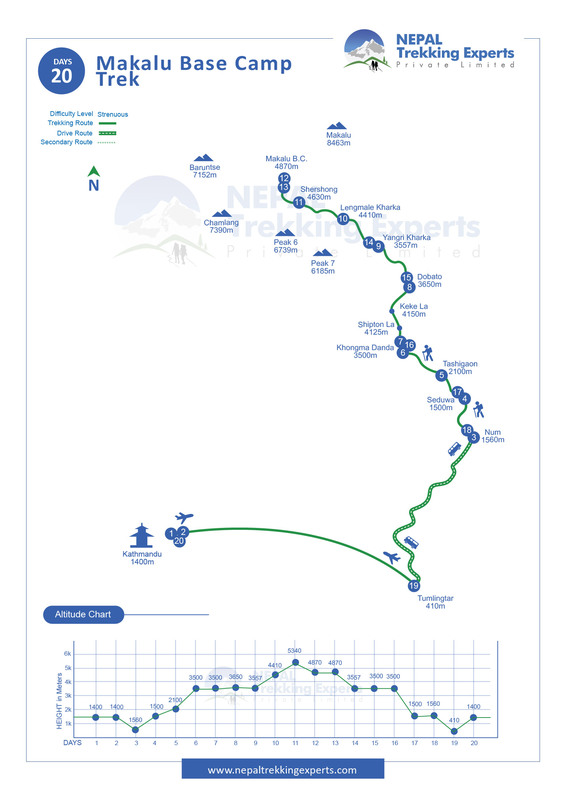 Starting from Tumlingtar, the trek offers unique challenges to those looking to test themselves against a route that rises up and over not one but two high passes in Shipton La and Keke La en route to the base camp – but hey, if you wanted a cushy stroll you wouldn’t be setting out to trek in Nepal, right? 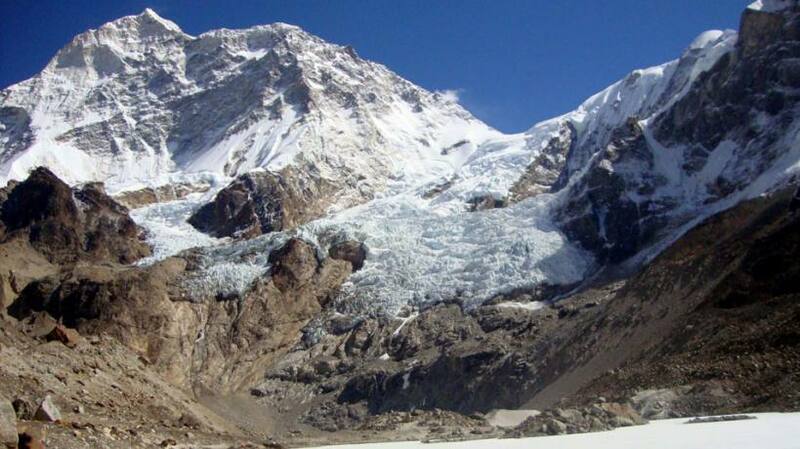 Since makalu Base Camp trek is less explored and not well mark route, please trek with reliable agency and guide.